Brand Strategy & Development, Corporate Identity, Stationery Design, Website Development, Google Apps Integration, SEO, DL Fliers, Facebook Page and Pull-up Banners. 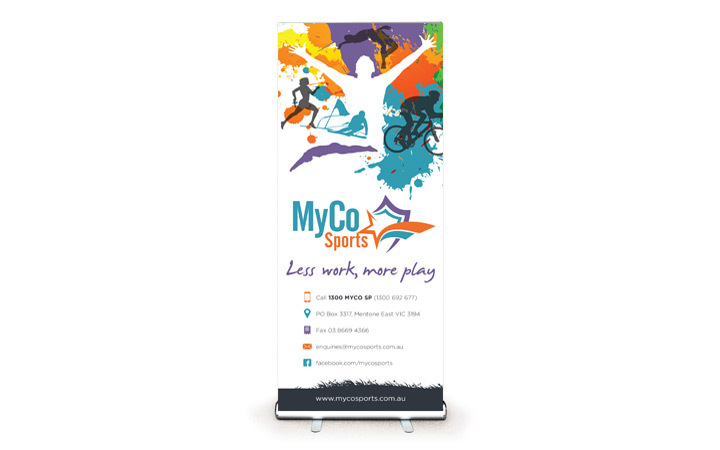 MyCo Sports is a user friendly sports team entry and results recording web app that can be utilised for a variety of sports! To help with the launch of this new company, Bingo Bango was entrusted with the brand development and corporate identity for all of their communication pieces. 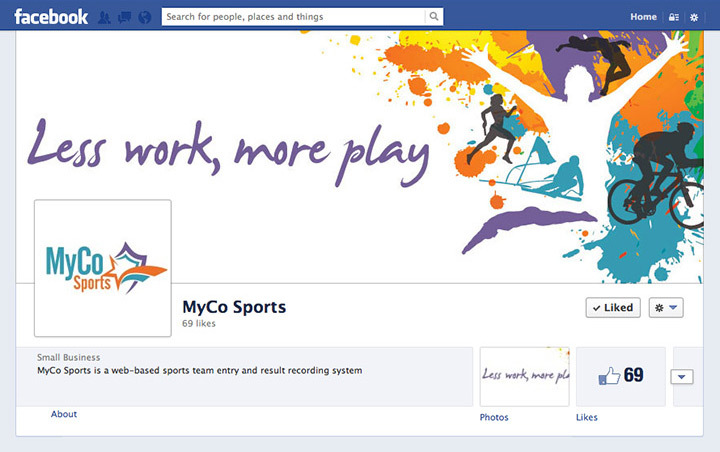 Sports Coordinators Rejoice! 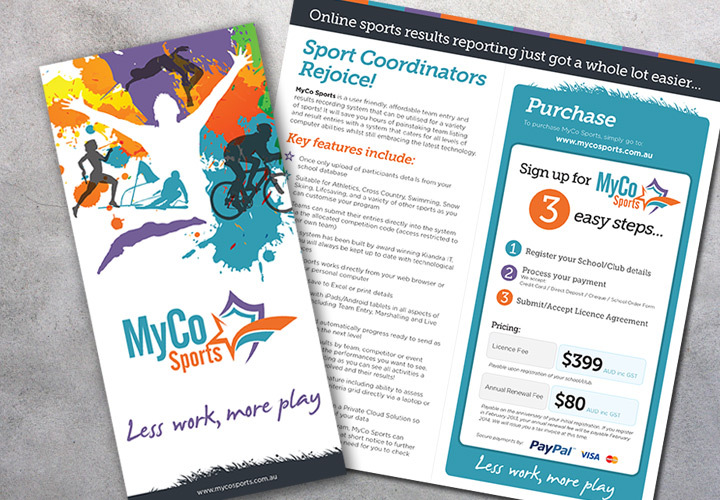 - at last there's an easy to use online web app that's perfect for sports event management including team and participant entry with robust results recording - MyCo Sports. To assist with the launch of this new company Bingo Bango was engaged to develop the branding and identity for all of their communication pieces. 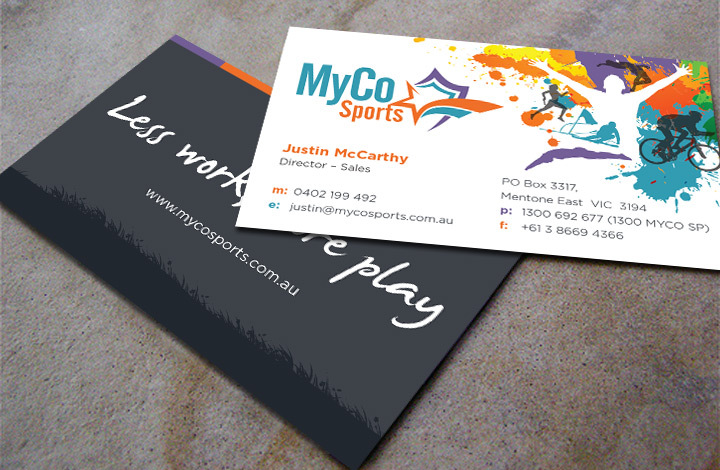 After modifying and enhancing their existing logo, we then set about developing their brand strategy. 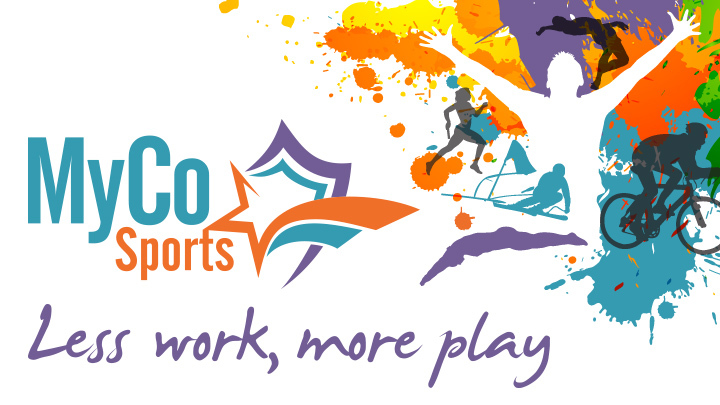 Our main focus was that the designs had to be colourful and eye-catching, to reflect the logo's vibrant colour palette, but also to create a set of graphic elements that supported the wide variation of sports that this software is developed for and the technology used. 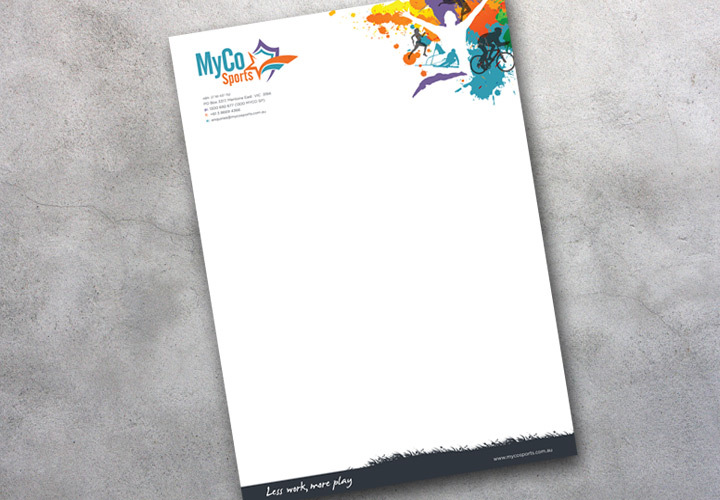 After the logo and Stationery items (Letterhead, Business Cards) were complete, the designs were then applied to their product fliers and pull-up banners. We also built a front-end website, which, aside from showcasing the software's features, also acts as the log-in entry point to access the web app and also allows for customers to purchase the software licence. This was further enhanced with the sites' SEO development, a company facebook page and google apps integration so the team can collaborate more effectively with members that are off-site or interstate.